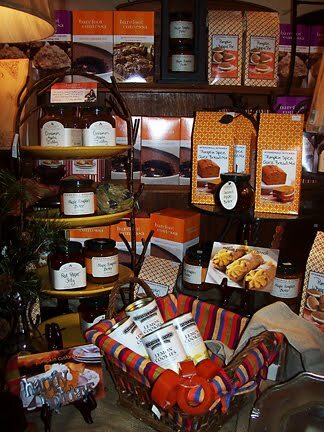 So many kitchen goodies in to make a beautiful basket for someone special! 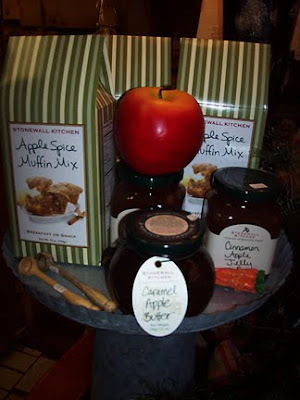 Stonewall kitchen jams, pancake mixes and syrups, and Barefoot Contessa mixes. The list goes on and on! So many options and don't forget about our freshly ground coffee beans-Southern Pecan, Christmas Creme, and Cinnamon Toddy are still our top sellers and smell wonderful! We can easily fix you up a beautiful gift and even deliver it for you!